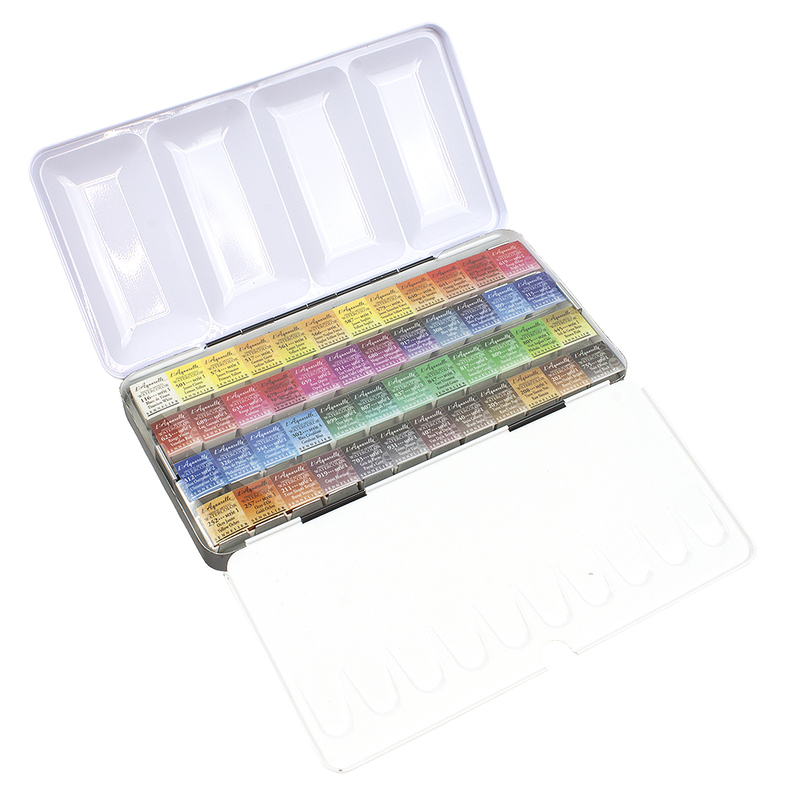 This set contains 48 half pans inside a lightweight metal tin box, fitted with a transparent plastic overlay to identify your colours. Also included is a size 3 Sennelier brush. The best price for the best paints with the best customer service. I trialed the tiny set and compared them to many other 'pro' paints and i love these the most. I honestly believe if you buy any pro grade it's all amazing quality and really only personal preference with trial. I love these because they're easy to thin out or thicken up and stay vibrant when dry even the thinnest layer. I also love the honey content and support anything that encourages bees to thrive in an increasingly overpopulated human world. colour wise the options are amazing and of course given the number, very easy to mix any colour you want. the only thing missing is true earthy greens that I don't believe you can mix? such as oxide green. fortunately if you squeeze up the pans closer you can fit in 4 more half pans, though risking them being too close and more easily contaminated. but the thing i prefer about pans is that they are easier to keep clean than flat palettes and of course a space saver compared to the same amount of tubes. these can get so thick and creamy i don't believe you even need tubes unless your're painting pretty large. the tin itself I believe is the best option available, despite its thinner more vulnerable nature when compared to steel ones. 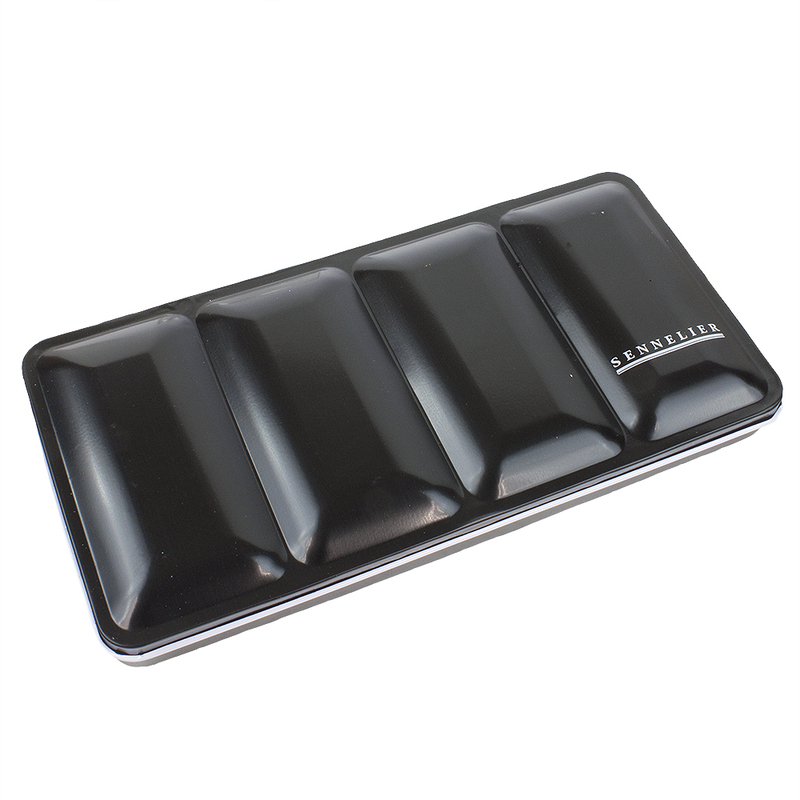 it fits more pans and the tray of pans can be taken out of the tin and used as a large mixing palette. 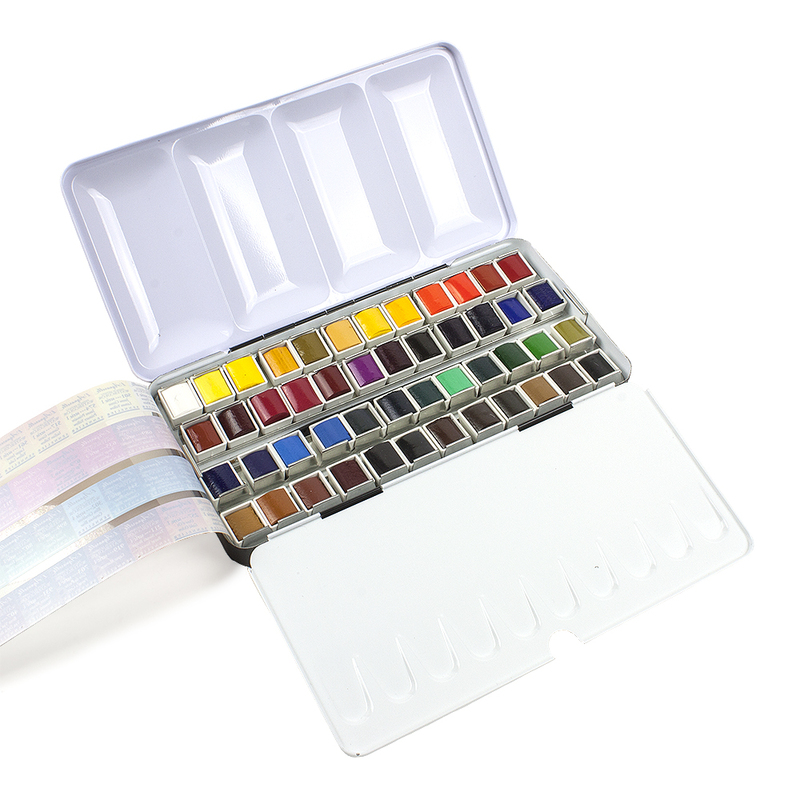 similar mixing space of the largest Holbein flat palette but more compact, lighter and more flexible to your space needs. I ordered these to be shipped to Australia, they were sent the same day and processed through the international airport by the next day! maybe I was lucky but wow! once it left it to Aus the tracking was a week with zero updates but arrived perfectly safely.